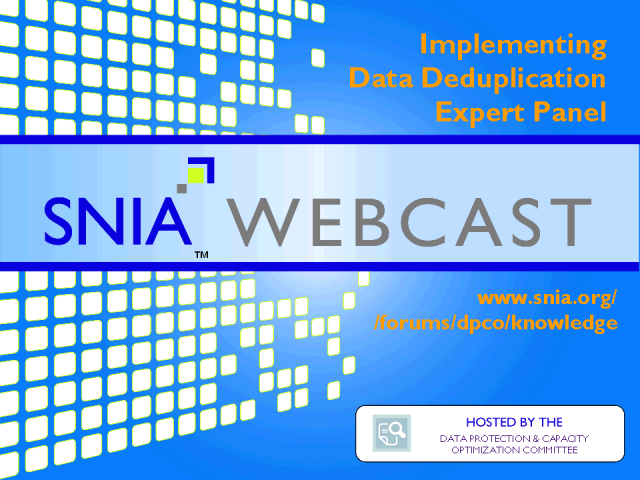 Join members of the SNIA’s Data Protection and Capacity Optimization Committee (DPCO) in a panel discussion with viewers as they provide current perspectives on best practices and implementation experience for data deduplication. - Is deduplication an energy efficient “green” technology? - What does “dedupe-rate” mean? - How does dedupe affect disaster recovery? - Where can I find data deduplication resources? - How should I get started?